Commercial Property insurance covers the building that your business owns or rents. 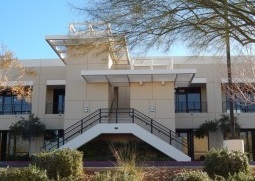 A Arizona commercial property insurance policy would also cover equipment, computers, tools and furniture. Let the agents at REC Agency Services evaluate your commercial property insurance needs to find the best suite for your liabilities and risks. Call one of our professional agents for more about commercial property insurance in Scottsdale Arizona including the Chandler, Mesa, Phoenix, and Tempe areas.